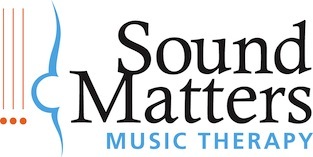 This past Saturday, I attended a fantastic presentation called “An Overview of the Theories that Inform Music Therapy Practice,” given by Kathleen Murphy, PhD, MT-BC and James Hiller, PhD, MT-BC. Many students and interns were in attendance, but many professionals were there, too. Drs. Murphy and Hiller touched on five theoretical orientations in only an hour and a half, really delving into only two of the five. They discussed the role of the client, the role of the therapist, and the role of the music within the theories. The approaches that were considered at length were the behaviorist approach and the psychodynamic approach, because these two theories are quite different. Other theories were humanist/client-centered, music-centered, and cognitive-behavioral theory. As much as I am enthralled with the psychodynamic approach, I think I actually work inside the humanist orientation given my clientele. I found the whole presentation and break-down of roles within each theory to be clarifying. My writing prompt for April is to consider your theoretical orientation, or combination thereof. One point the presenters made was that a therapist cannot consider himself “eclectic” without a foundation in one orientation. Feel free to send me your words. I’ll look them over and have them up by the end of the month. Write on.